Pequonnick River Valley is the cherished home base for Trumbull hikers. The five mile long park follows alongside the monstrous, yet gentle Pequonnock River, with two vastly different experiences awaiting adventures on either side of it. Difficulty ranges from 1-4, depending on which trail you take. Pequonnock River Valley is the cherished home base for Trumbull hikers. The five mile long park follows alongside the monstrous, yet gentle Pequonnock River, with two vastly different experiences awaiting adventures on either side of it. On one lies the Rail Trail, a flat and mainly straight trail that sits parallel to the river, perfect for casual strolls, or routine exercise. The other side strays from the river a bit more, creating a web of side trails that give more serious hikers a run for their money. The best thing about Pequonnock River Valley is the way in which it gives its explorers a chance to deviate into something new. At many points along the Rail Trail you are given the opportunity to cross the river by the way of fallen trees or rocky bridges, with each pathway leading to a completely different visual world. But no matter which point you cross at, it is never too difficult to navigate yourself to any of the side trails main attractions. 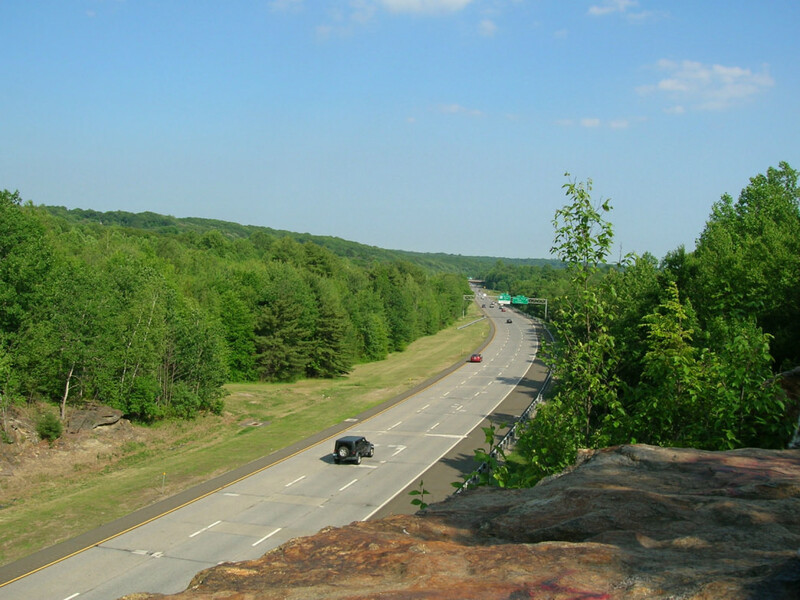 These include but are not limited to, a cliff-side overlook of the highway route 25, an open field perfect for stopping to eat, and psychedelic graffiti that was carefully crafted on many of the rocks near the riverside. Needless to say, the Pequonnock River itself is one of the great things about this park. At points it is a rapid mess, moving so fast you dare not step too close in fear of falling in; other points it is completely calm and abreast with fishermen and laughing children alike. Its majestic and varied nature echoes the essence of the surrounding woods themselves. Pequonnock River Valley has something for everyone. The rail trail is incredibly popular with families of all shapes and sizes due to its relaxed nature, as well as its ability to provide incremental challenges for those looking to utilize it for exercise again and again. It is especially great for trail bikers thanks to its wide, smooth and well-worn path. The side trails are also pretty universal, their ups and downs giving more serious hikers a challenge (especially if you tackle the majority of the park), but not so hard that they scare off more casual people who simply wish to enjoy the beautiful views and graffiti. This is where it gets tricky. There are entrances for both sides of the river, as well as entrances out-of-towners should not park at. If you are looking to utilize the Rail Trail, park on Tait Road in Trumbull, near the town hall. 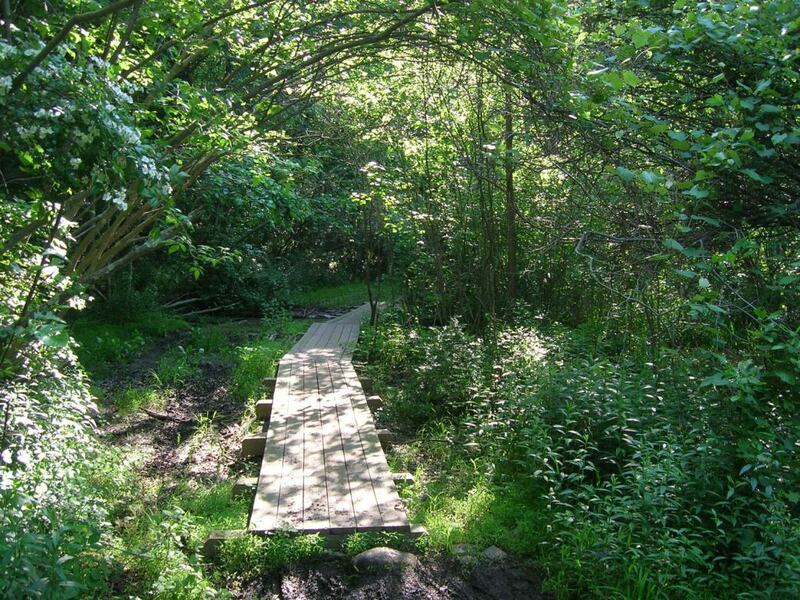 Once there the entrance to the trail is a short walk to your left. If you are looking to cover the side trails take Daniels Farm Road to Park Street and make use of the Park and Ride there. Once there walk to the cul de sac at the end of the road and choose your path (you may want to download a map from the website, as there are none on site). DO NOT PARK at Old Mine Road, as it is specifically for Trumbull residents, and you could be penalized if you do not have the appropriate identification stickers.